It shouldn’t connect… let alone assault. also… order the fatty brisket. Best in the U.S.
We’re doing two slabs right now on the Weber! This will be your downfall COMARADE! 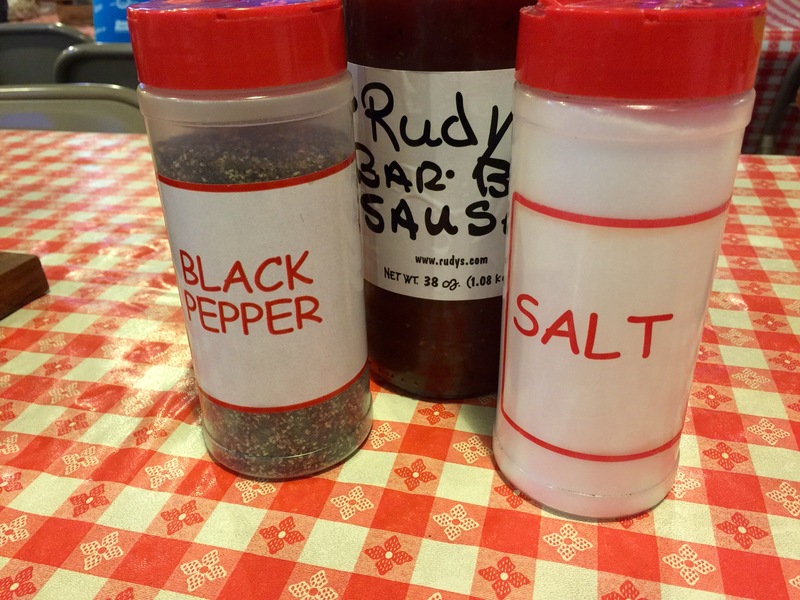 Rudy’s is a really great BBQ joint; I hope you enjoyed! Reblogged this on Cristina Loma. Definitely one of THE WORST fonts in fontdom. San Antonio? Mmm, Rudy’s. . . Also: If there’s a single situation where Comic Sans might be appropriate outide of an 80’s cartoon, this just may be it. Apparently people have put it on their tombstones. Not quite sure what message that sends. How can a place as delicious as Rudy’s have such an ironic slant like this… Life’s full of jokes it seems!